Get into Summer with some healthy eating tips form Leah Itsines! New recipe alert: The Nourishing Cook sneak-peak! 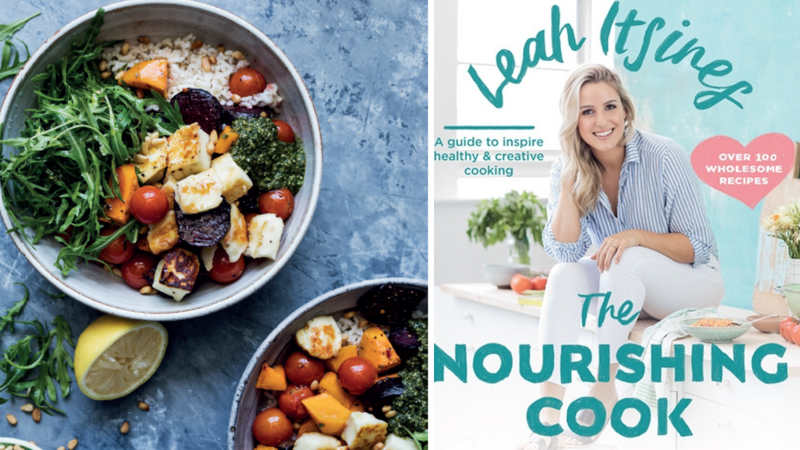 Leah Itsines is a self-taught Aussie food blogger with a mission to help men, women and children all over the world change their view on food and health while providing healthy, homemade and easy recipes. Make her Haloumi and Roasted Veggie Salad. Preheat the oven to 180°C and line the baking tray with paper. Basil pesto: Place all basil pesto ingredients in a food processor and give it a quick whiz. How fine you want it depends of you.